Residential Heating & Plumbers | Paul Flaherty Plumbing & Heating Co. Whether you have a boiler in need of repair or cleaning, or need a heating system replacement, Paul Flaherty Plumbing & Heating Co., Inc has the heating experts you need. We are experienced in old-style steam heat and can fix boilers others can't. Small or large, we will take care of the problem for you! We have a designated Installation Department to better serve your installation needs. That means that while our service technicians are taking care of your service needs, our installation team will be there for your replacement and remodeling projects. Call us today! Our Call to Action Service Team is "on call" for heat emergencies throughout the Boston Metro West Area. We will respond promptly to your after-hours call for emergency service. 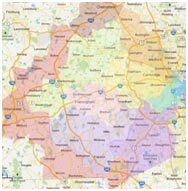 Our goal is to resolve your issue quickly and keep you operational. With today's high efficiency hot water and heating products, it's more important than ever to maintain your equipment to maximize your fuel dollars spent. Paul Flaherty Plumbing & Heating Co. offers scheduled Annual Preventive Maintenance visits to perform the required cleaning and maintenance recommended by the manufacturer. Take the worry out of remembering to call! We will arrange the needed service for you. To be included in our call list for your annual maintenance, please follow the link below. For more information on our Annual Preventive Maintenance Service, see our brochure, or call our office to speak to a heating professional today! No other single system in your home plays a larger role in your comfort or how much your utility bill will be than your heating system. 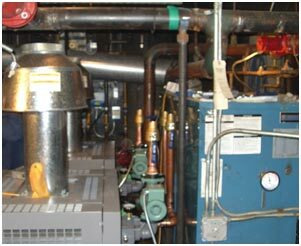 We specialize in cost-effective heating solutions, including gas boilers, radiant heat and high efficiency systems. For maximum savings on your heating costs, ask about our programmable thermostats. Our technician will be happy to install one for you while he is at your home!